“The Japanese/Muslim American Experience Roundtable: When are We greater than Me?” will be presented on Thursday, April 13, from 7:45 to 9:15 p.m. at Choi Auditorium, Occidental College, 1600 Campus Rd., Los Angeles. This workshop is part of the series “The 75th Anniversary of The Japanese American Incarceration: Never Again” and History Department’s spring series, “We the People?” Campus sponsors include American Studies, Center for Digital Liberal Arts, Diplomacy & World Affairs, East Asian Languages & Cultures, History, Institute for the Study of Los Angeles, Politics, and Writing & Rhetoric. This event was planned and organized by the members of HIST248: Modern Japan as part of a unit on the incarceration of Japanese Americans during World War II. 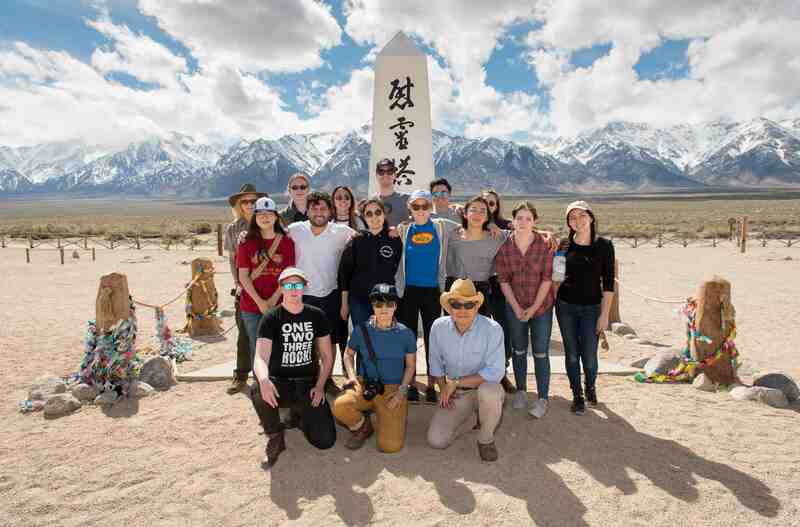 It is the culmination of this unit, which was preceded by a field trip to the Japanese American National Museum in Little Tokyo; a trip to Occidental College Library’s Special Collections; and an overnight field trip to Manzanar. The participants of this roundtable include two Oxy students: Karin Sharif (’18) and Rosie Yasukochi (’18) and three Los Angeles-based community leaders: Phil Shigekuni, who was incarcerated at Amache in Colorado, and Muslim American activists Tanzila “Taz” Ahmed and Marwa Abdelghani. This event is free and open to the public. No RSVP required. For information on this and related programs, visit www.oxy.edu/75th-anniversary-japanese-american-incarceration-never-again. For maps and directions, go to www.oxy.edu/maps-directions.